When you want to format a hard drive, it helps to know the difference between a partition and a drive. I wanted to restore it to factory settings, but while erasing the disk I erased not only “Macintosh HD” but the “Hitachi…” What have I done? I reinstalled the OS fine. Did I damage my system? This highlights how well Apple typically hides some of the fussy details of an operating system from users, usually to the good: most of the time, we don’t need to know any low-level details in order to use a Mac. iOS obviously goes a few steps further, mostly preventing even advanced users from seeing much of what’s under the hood. What Carmela is seeing is the difference between a drive and a partition. While this may be old hat for veteran users, it’s just jargon for those who have never had to format a drive before. 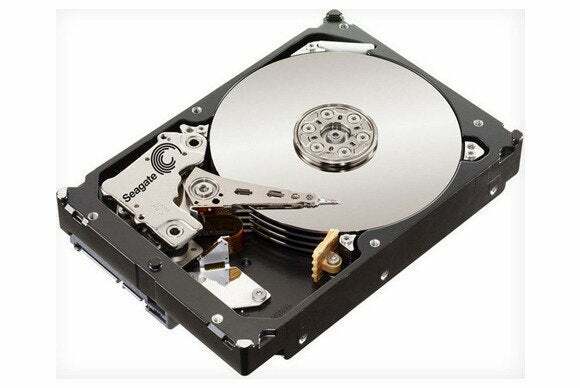 A drive is a physical thing, whether it’s a hard disk drive (HDD) or solid-state drive (SSD). It’s a physical medium that has a disk controller that mediates access to data stored on the disk, including carrying out and tracking the details of what bits are written where, and how to retrieve them later. 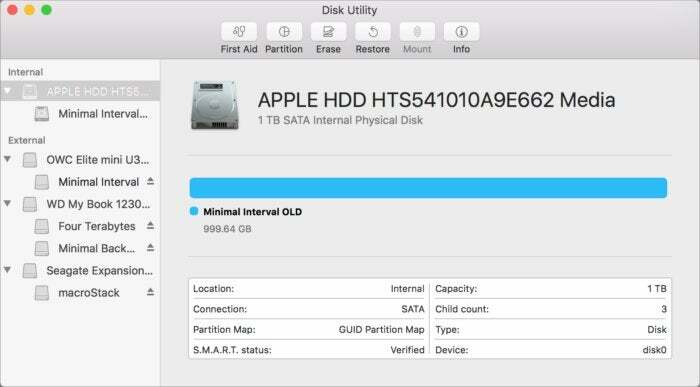 The name the maker assigns to a disk drive appears in Disk Utility. Each partition has a name distinct from the hard drive’s manufacturing name that typically appears as the volume name when mounted in the Finder. Macintosh HD is the name Apple uses for the startup volume if you don’t change it. When you erase a drive, it also deletes all the partitions. You then create at least one partition to proceed. This is what Carmela did. When you erase a partition, it keeps the formatting intact but removes all the data stored in the physical structure associated with that partition. It’s not bad to erase the drive, especially if you’re going back to a default, fresh installation because it eliminates the possibility that anything could be wrong with the partition. Without a partition, an OS can’t do anything with a drive at all, because it has no place to read or write data. Nearly all Macs since Lion was released have just two partitions: a large one that is used by OS X or macOS, and a small one that holds the Recovery disk, a mini-system that Apple created to repair, examine, or have a secure login for your main partition’s OS without needing to create some kind of bootable external disk. 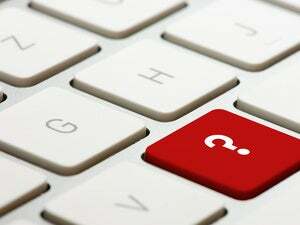 More advanced users might split a very large drive into multiple parts to run different systems on each or to have a Boot Camp partition to run Windows under macOS. As a side note, if you erase the disk and reinstall OS X or macOS, it should automatically create a partition for Recovery and install it. If that fails, you may have to reinstall macOS again, or you can turn to Carbon Copy Cloner, which has a Recovery partition reinstallation option. If you have an Apple Fusion drive, found in some models of Mac mini and iMac, the OS combines a slower HDD and a fast SSD into one partition that spans both pieces of hardware. (More sophisticated RAID arrays can do this as well for performance, reliability, or both.) With a Fusion drive, read Apple’s instructions carefully for repair and erasure so you don’t wind up reformatting in such a way that you lose the speed advantage Fusion provides.